A disk treemap is a graphical representation of the size allocation of a directory or drive. 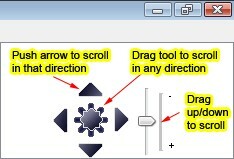 2. use the zoom/scroll tool as shown in the graph below. 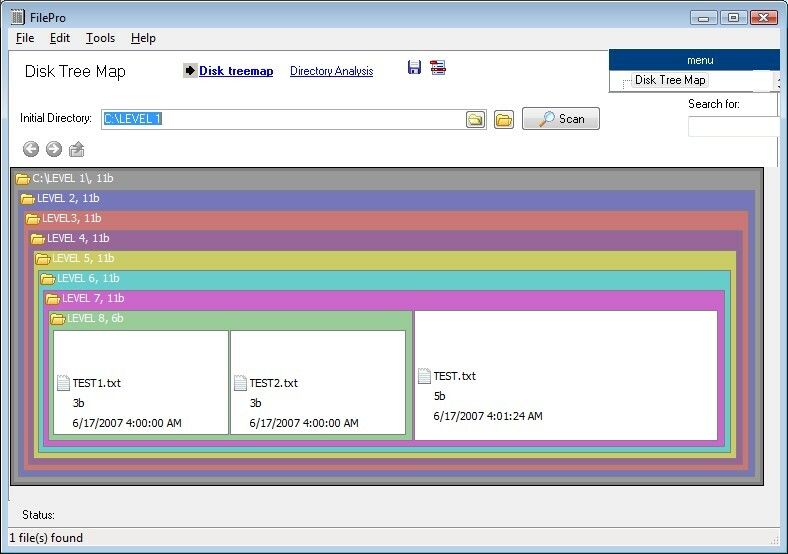 FilePro uses a different color for each directory level. Files are drawn using white color. You quickly notice that there is a big file on the right side of the treemap. The file is unusually big, so it is worth some further investigation. 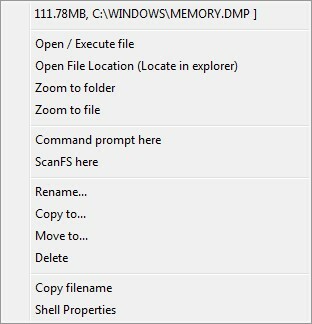 Let's zoom into the file, by right-clicking on it and selection "Zoom to file"
By zooming the file, we see that it is a forgotten memory dump file, that we can safely delete.